“Yessss!” squealed 19 years old Surbhi as she hugged her mother with joy. Surbhi had long suffered from the agony of being called “double battery” and “specky” for as long as she had worn glasses. She had always dreamed of this day when she would be allowed to wear contact lenses and bid adieu to her spectacles forever. Slowly, as the years went by, Surbhi moved on from being a college girl to a working woman at a recruitment firm. Her contact lenses also moved on from “boring transparent” to “multiple vivacious coloured ones to match her outfits”. Surbhi walked into the eye doctor’s clinic one day with fiery red eyes that kept watering and caused her to wince with pain. “I had suffered from a similar episode a couple of months ago, doc. But it had settled down with a few eye drops”, she informed. “Hmmm…” noted Dr. Vandana Jain, her eye specialist grimly as she examined Surbhi’s eyes and asked to see her contact lenses. Surbhi happily got her case of favourite blue lenses out. Dr. Jain said in shocked voice, “These are your daily wear lenses! And look at those monsters that you use, to wear your lenses!” Taken aback, Surbhi quickly hid her hands behind her back. But it was too late, for her eye specialist had already seen her long finger nails. Dr. Jain kept back her contact lens case and explained that she had developed a corneal ulcer. A corneal ulcer is like an open sore on your cornea, the transparent structure on the front surface of your eye. Corneal ulcers can be caused by a number of reasons, the most common of which is infection with bacteria, virus or fungi. A corneal ulcer can have serious complications like scarring which leads to permanent vision problems, melting ulcers which can lead to complete loss of the stroma (a layer of the cornea) within 24 hours, perforation with formation of fistulas, formation of synechia (adhesion of the iris to the cornea), glaucoma (raised pressure inside the eye), endophthalmitis (inflammation of the cavities inside the eye), dislocation of the lens, etc. The eye doctor handed her a prescription for eyedrops and medications. Surbhi smiled sheepishly as she glanced at the last instruction in the prescription: Clip your nails! A few days later, Surbhi walked into the hospital and happily announced that she was feeling much better. “Doc, can I have my contacts case back?” she hesitatingly asked. “I don’t think you would want to,” replied the doctor as she handed a report from the microbiology lab. “Your case was teeming with Pseudomonas,” Dr. Vandana Jain explained, “Pseudomonas is a type of bacteria. It is known to most commonly cause infections in the eye. In fact, the germs that cause milk to spoil are also a type of the same Pseudomonas. 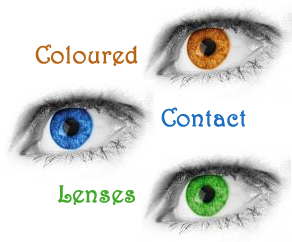 Research has shown that wearing coloured contact lens for long durations reduces the oxygen supply to the cornea in addition to disrupting the tear film. This helps the Pseudomonas to bind to the corneal epithelium, get internalised and cause an inflammatory response. Pseudomonas are found in soil, marshes, plant and animal tissues like finger nails”. Surbhi smiled as she held up her clean trimmed nails. The Food and Drug Administration (FDA) issued a warning to consumers on 22 October 2002 that extended use of non-corrective, decorative contact lenses could result in serious eye injury even blindness. •	Never handle lenses without washing your hands first. •	Do not use saliva to lubricate your lenses because your mouth has bacteria which can harm your cornea. •	Never use tap water to clean your lenses. •	Store your lenses in disinfecting solutions overnight. •	Remove your lenses every evening and clean them carefully. 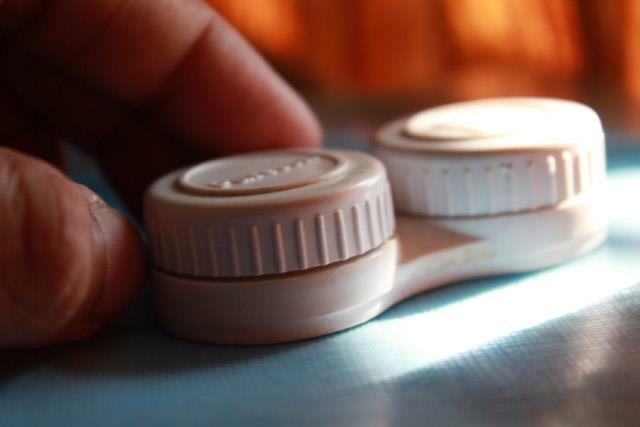 •	Clean your contact lens case regularly. •	Do not share your contact lens or swap colours with friends. •	Ensure that you get the exact brand, lens name, cylinder, sphere, power and axis. •	In case any redness or irritation occurs, remove the contacts and contact your eye doctor immediately. Since then, Surbhi has become much more careful with her choice of lenses, from where she procures them and how she uses them. “It was only when I faced the risk of losing my eye that I realised, I needed to change my perspective and give priority to safety. I’d rather look than look pretty”. Contact lens clinic at Advanced Eye Hospital and Institute, Navi Mumbai, India (AEHI) offers excellent refractive assessments and quality eye specialist consultations. For some patients, who wish to get rid of contact lenses permanently, Centre for Lasik Surgery within AEHI offers all type of laser vision correction options like Lasik, Femto Lasik (bladeless lasik) and SMILE Lasik (flapless lasik) – all under one roof under supervision of Dr. Vandana Jain, a Cornea and Lasik Surgeon.